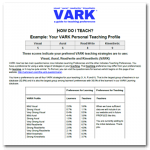 Resources for those using VARK in their teaching or training. 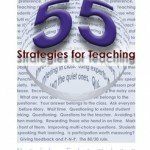 If there is a theme, it is – teaching has to be about learning- otherwise, there is only talking. 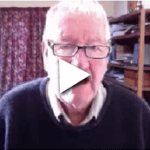 Beginning teachers are invited to turn the pages and find items that are within their capability and that suit their circumstances. Those who are more experienced can fine-tune their skills by adding to their excellent skills to reach even more learning and training objectives. No single page will make a huge difference, but the skills on many pages have the potential to make you a better leader, coach, teacher or trainer.